One of your goals at the start of your work-at-home career was probably to have more time to spend with your family members. Cut out the commute and the nine-to-five grind and you have more flexibility to change hours and take time off for special events. This new-found time, however, brings about family expectations that you didn’t count on. Proper boundaries not only set aside enough uninterrupted time to get your work done, they also reduce frustration and strain that can affect the family dynamic. Expectations met lead to less stress for parents and kids. Physical, mental, and time-based separations work together to create a positive work-life balance in your home. You balance your laptop on your knees while sitting on the couch or set up on the kitchen table and soon enough your kids are sneaking closer to find out what Mom or Dad is working on. Even if they are in the next room, they can run in at any time and bug you with complaints, questions, or calls for snacks and juice. 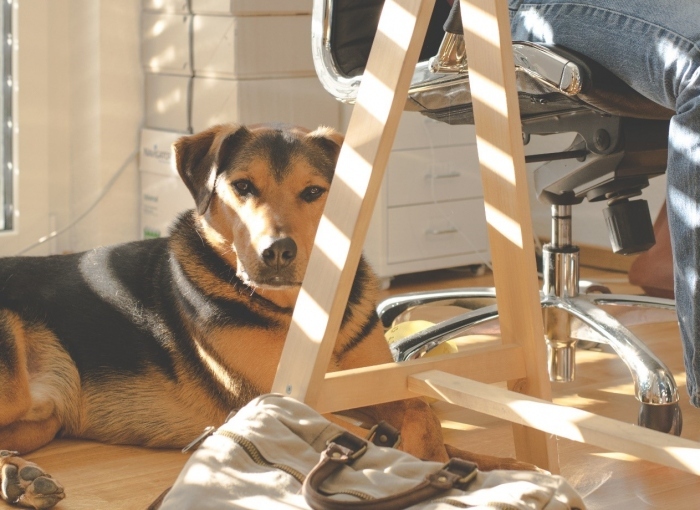 As long as proper supervision is available, having a dedicated office space is ideal for working at home. Soundproofed walls reduce the urge to join in when you hear yells or laughter. Also, dedicating the room to business keeps you in the right mindset. Avoid family photos, kids’ crayon drawings, and never let the kids play there or use your computer. An added benefit is that your work papers will never have sticky fingerprints and your printer will never run out of ink due to a kid wanting fifty coloring book pages. Mom or Dad disappearing into a forbidden room for hours every day may be tough to take for kids of all ages. It is important for your work-at-home success to get everyone on board with the rules. To keep things more comfortable, try to work when the other parent is available or when the kids are out at preschool or on a playdate. From a very young age, children can understand the importance of working hard. Explain how important it is to handle money properly, when you earn it, put it on the savings account, or spend it. They understand when you head to the office that you are working to get money to buy food, pay the bills, and take them on fun outings. The work requirement has not changed, just where you take care of it. You still have to take it seriously. Working at home can blur the lines between business and family time for you as well. Stick to your intended work hours and do not compromise spending fun bonding time with your spouse and kids. If work ideas infiltrate your off hours, jot down a note and slide it under your home office door. Never let resentment or negativity build up by pushing the time you usually spend with your loved ones further into the background. While you may have some occasional busy periods or work projects that require more hours, always compensate with extra playtime or a weekend away as soon as possible. Remember that bonding and private time with your significant other are just as important as making sure the kids get special time. Working at home may leave your spouse thinking the rules about separation do not apply to them the same way they do for the kids. Enforce them, but never forget to give them your undivided attention when it is their turn. Whether you run your own small business, have an active freelance career, or telecommute for another company, working at home carries many benefits. These include more flexibility and free time not wasted with commutes and captive lunch periods. You might even save money in the long run. These benefits dwindle in importance, however, if you cannot balance your work and family time properly. You may struggle to make your spouse and kids understand that the dedication you need to show your work has not changed. In the end, you need to draw the line with physical separation, careful scheduling, and the thoughtful memory of why you wanted to work from home in the first place.